MUPPET BABIES IS COMING BACK! wrapped in a caffeine tortilla! You might recognize one or two. But this is what's happening right now. 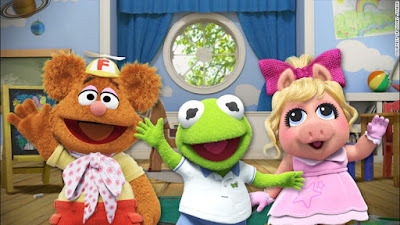 Will we be seeing any more Muppets added to the cast? I'd love to see Sam the Eagle in this version. Or maybe a foreign friend...someone from Sweden, perhaps? Have all the voices been cast? When will you announce it? I love how you will never forget about the G:KND to bad Cartoon Network only play trash tier reboots.